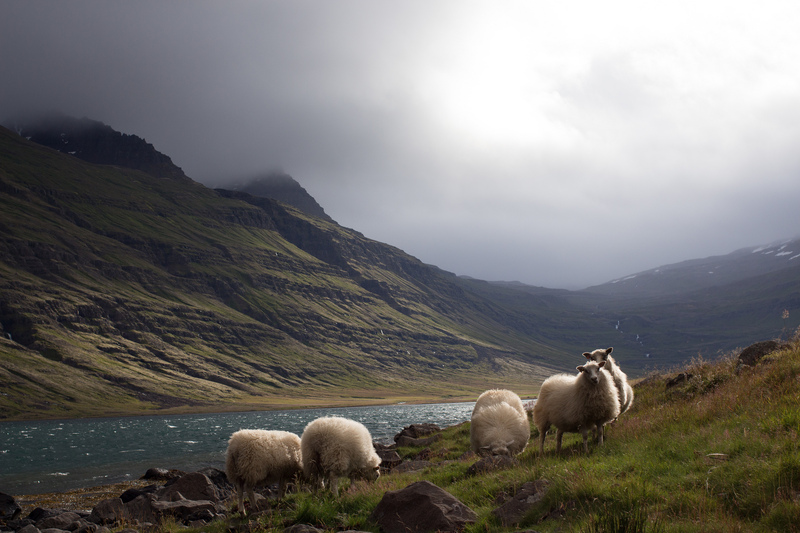 Thursday marked the first day of the Year of the Sheep (or ram or goat, depending on how you translate it). Hundreds of millions of people in China, across Asia, and in diaspora communities around the world rang in the new lunar new year with light and sound. With China looking ahead to the year 4713, this provides an opportune time to look back on the country’s year in the Arctic. This week also coincides with celebrations in China of thirty years of polar expeditions and a permanent polar presence, as Xinhua’s Han Song reports. Exactly three decades ago, on February 20, 1985, China opened its first permanent polar research station: the Great Wall Station (长城站) in Antarctica. China has since added three stations to the continent and plans to open an additional one in Victoria Land in eastern Antarctica later this year. 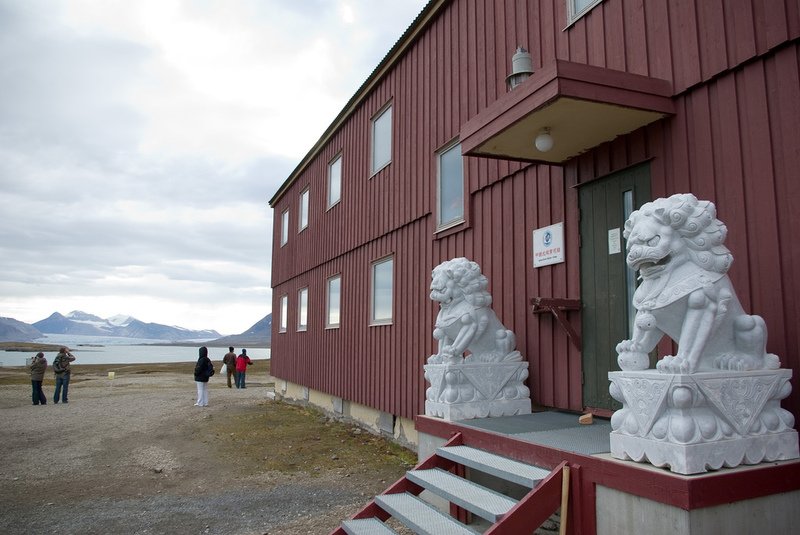 In the Arctic, China has one permanent research station in the town of Ny-Alesund in Svalbard, Norway. It’s called Yellow River and has been open since 2004. It’ll be another two decades until China celebrates thirty years of a permanent presence in the Arctic, but the country is still making strides in the High North. Here are the month-by-month highlights of China’s past year in the Arctic. Denmark’s Arctic Ambassador Erik Vilstrup Lorenzen and Greenland’s former Deputy Foreign Minister Kai Holst visited China to discuss increased cooperation in the areas of fishing, mining, and scientific research, Xinhua reported. The Polar Research Institute of China also invited the Danish and Greenlandic visitors to participate in a Q&A session, which focused on “Greenland’s future potential, human capital, infrastructure and the northern sea route,” according to the Danish Embassy in China. It was widely reported in outlets like SinoShipNews that China would complete its national polar shipping guidelines by June, although no update since then appears available on the country’s progress. Since October 2013, the Ministry of Transport, Polar Research Institute of China, and the Ship Navigation Engineering Research Center at Fujian Jimei Univeristy have been preparing the guidelines. The fact that China is undertaking this effort signals that it is preparing for more of its merchant marine vessels to sail in the Arctic. One of just two private parcels of land in Svalbard went up for sale, sparking fears that China would swoop in. The South China Morning Post quoted Willy Østreng of the Norwegian Scientific Academy for Polar Research as saying, “China has expressed an interest in the resources and shipping lanes of the Arctic…This land would provide a permanent foothold.” It appears that Østreng conflated “China” with Huang Nubo, the private investor who attempted to purchase a tract of land in Iceland to develop an ecotourism resort before being foiled by the government. Nubo had expressed a specific interest in buying the private parcel on Svalbard, called Austre Adventfjord, in an interview with NRK. Yet the lawyer of the family selling the estate claimed to VG, a newspaper, that Nubo had in fact not contacted them and that no such talks were underway. The next month, the Norwegian government announced plans to purchase the land and take over it in the interest of “managing Svalbard for the common good.” If successful, the move would mirror the Japanese government’s purchase of three of the disputed Senkaku/Diaoyu islands from their private Japanese owner in 2012. The Norwegian case seems to have overblown fears of a Chinese invasion in the Arctic written all over it. If anyone was worried about China being in the Arctic, they should have spoken up when the country opened its Yellow River Station on Svalbard in 2003. China and Russia signed a $400 billion, 30-year gas contract, which I blogged about last year. According to the terms, Gazprom will deliver 38bcm of gas per year to China beginning in 2018. Much of the gas will come from the Chayandinskoye field in the Sakha Republic (Yakutia) via the Power of Siberia pipeline, which is still under constructed. Analysts generally saw the terms as favoring China, but in reality, both sides will benefit. Russia will be able to diversify its export markets away from Europe, while China will get a much-needed new source of gas to help lessen its dependence on coal, especially in northeastern China where air pollution is particularly severe. The China-Russia gas deal could also help facilitate future Chinese involvement in offshore Arctic oil and gas development by enhancing cooperation between the two countries (although the plunge in the price of oil has since dramatically changed the calculus of Arctic offshore energy projects). China announced that it would put an absolute cap on carbon emissions beginning in 2016, reported Reuters. The next day, however, China’s Chief Climate Negotiator Su Wei clarified that China was actually seeking to merely reduce emissions rather than set an absolute cap. In either case, a few days before, the United States had stated that it would attempt to reduce emissions from power generation. These announcements from the world’s first and second largest carbon emitters were welcome news for the Arctic, where the dramatic increase in global carbon emissions is having an intense regional effect. 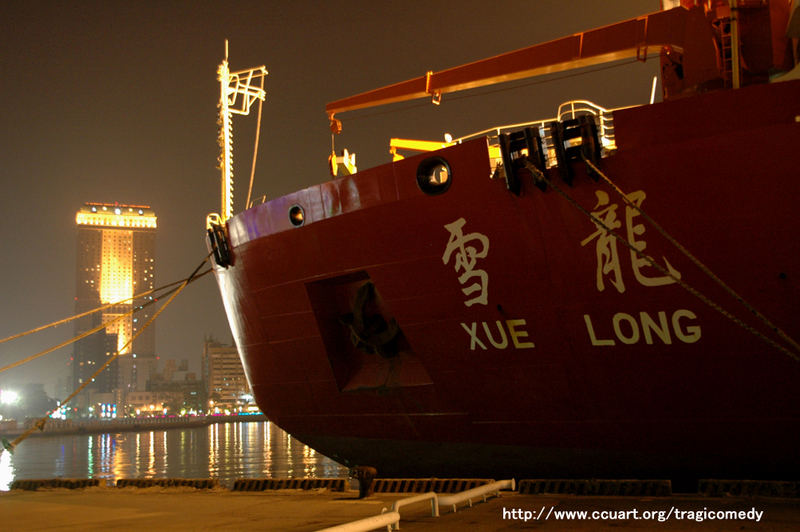 China’s icebreaker, Xue Long, departed Shanghai for its sixth Arctic expedition. (By contrast, the vessel had undertaken 30 Antarctic expeditions at the time of its departure for the north.) The icebreaker planned to travel some 11,057 nautical miles over 76 days through the Bering and Chukchi Seas and Canada Basin while scientists on board studied Arctic marine hydrology, geology, and biology, according to Xinhua. Prime Minister Stephen Harper banned reporters from two Chinese outlets, Xinhua and the People’s Daily, from attending his annual trip to the Arctic. Xinhua is China’s official state news agency, while the People’s Daily is the official newspaper of the Communist Party. Ottawa explained the ban as due to “past incidents and behaviours.” During Harper’s trip north in 2013, People’s Daily reporter Li Xuejiang was accused of pushing one of the Prime Minister’s spokeswomen. Harper’s decision, however, was likely more just for making (populist) headlines; as next month would show, economic cooperation between Chinese and Canadian corporations continues to move full steam ahead in the Arctic. This statement encapsulates the emerging circuit of commodities like nickel that are transported from the Arctic to Asia, where they are used in the process of building infrastructure like steel-hulled ships like MV Nunavik, which was built in a Japanese shipyard. In turn, vessels such as these travel back to the Arctic to ship out even more resources. Coincidentally, the ship arrived to Bayuquan with its cargo of nickel on October 15 – five days before the China Mining Expo would open in Tianjin, a city six hours away by car. Two of the world’s largest annual mining expos were held in China, with the China Mining Expo in Tianjin and Exploration Exchange China in Beijing. These fairs are important for attracting investor interest, particularly Chinese companies since China is the world’s largest consumer of metals and minerals. Greenland’s Bureau of Minerals and Petroleum, which had made a showing at these expos in previous years, had to cancel its attendance at the last minute due to the political scandal embroiling former Prime Minister Aleqa Hammond and the subsequent collapse of the coalition government in Nuuk. This month was difficult overall for mining prospects in Greenland, as London Mining Corporation, which had allegedly planned to fly in hundreds of Chinese employees to work in the Isua iron mine, collapsed. Chinese President Xi Jinping visited Hobart, Tasmania, Australia, where the country’s icebreaker Xue Long was docked in port. During his visit, Xi signed a memorandum of understanding (MoU) with Australian Prime Minister Tony Abbott on bilateral cooperation in Antarctica. The signing took place while researchers at China’s Zhongshan Station and Australia’s Davis Station watched via a live video link. Among other topics covered by the MoU, China agreed to use Hobart as its main gateway to Antarctica, dealing a blow to Christchurch, New Zealand, which Xue Long has visited several times before en route to “the Ice,” as the continent is sometimes called. Before leaving, the Chinese President visited the bright red icebreaker and gave a pep talk to the researchers onboard. Chinese photographer Jiannan Wang, who described himself on his LinkedIn profile as having been born in the “Ice City” of Harbin, won first place in the “Arctic Peoples” category of the “Through the Lens” photography contest, which was sponsored by the Conservation of Arctic Flora and Fauna (CAFF) Secretariat. His award-winning picture depicted an Inuit hunter and his dogs tracking seals near Qaanaaq. Given that it was taken in backlit conditions with sharp contrasts between light and shadow, the photograph is especially impressive. Over the past seven years, Wang has traveled to the Arctic 18 times and has visited 124 northern villages in all eight Arctic countries. Wang writes on his profile that he plans to continue traveling and taking photographs across the Arctic until he has visited all of the significant Arctic settlements as listed in the Arctic Human Development Report, which could take at least ten years. Additionally in December, a traveling exhibit of Wang’s work, titled “Life in the Arctic,” was held at Peking University to stimulate the interest of young Chinese students in the Arctic. A video of the exhibit reveals the immense breadth of work on display, taken from Wang’s collection of 30,000 photographs. He has also published his photography in a book called 66 Degrees North Latitude: The Arctic from Alternative Angles (北緯66度). Wang’s endeavors reveal that China is not just in the Arctic in search of oil, minerals, and shorter shipping routes. 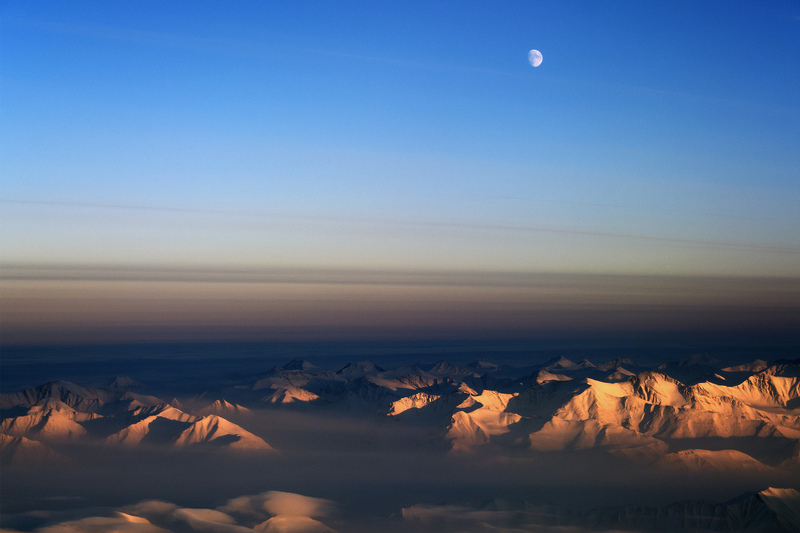 Chinese individuals are simply intrigued by the Arctic, too, just like millions of other people around the world. Their curiosities don’t necessarily have to do with national interests, nor do they need to be perceived as threatening. When it comes to reporting on Chinese activities in the Arctic, it’s important to separate the people from the state, which the media often fails to do. Disastrous, indeed – and China would also have to find a new venue for the annual China Mining Expo in Tianjin. It would also have to find a new place to base the operational headquarters for General Nice Development Limited, which are located in Tianjin. The Chinese company, one of the biggest coal and iron ore importers in China, is the new backer for the formerly bankrupt London Mining, the company that wants to mine iron at Greenland’s Isua project. Of the Chinese officials’ speeches at Arctic Frontiers, the CNPC president’s was the most widely covered. Outlets like Newsweek announced that China was “going polar.” Xiansheng stated that although China didn’t have any independent oil and gas exploration projects in the Arctic, “We will cooperate with other companies if there’s a chance….We are just starting.” This shouldn’t have really been news to anyone, though, for almost exactly one year prior to his talk, China won the license to explore for oil off Iceland. Dreki forms only one place, too, where China is assisting with Arctic oil and gas development. The Yamal LNG project, in which China National Petroleum Corporation has a 20 percent stake, is another. February 2015: Another (lunar) year begins. So said Wang Hailang, vice leader of one of China’s Antarctic research teams, on February 18 as his country celebrated thirty years of activity on the southernmost continent. The fact that President Xi traveled all the way to Hobart, China’s new gateway to Antarctica, and stepped aboard Xue Long symbolizes the growing importance of the polar regions to China’s leadership. A year of Chinese activities in the polar regions concludes as the Snow Dragon looks forward to a new one in which China likely hopes that it will not be treated like a black sheep in the Arctic. If it is, such treatment will more likely stem from the media than Arctic states (Prime Minister Stephen Harper’s media snub aside). Back in November, The Arctic Institute posted an insightful article on exactly this matter entitled, “How We Learned to Stop Worrying About China’s Arctic Ambitions.” If we cease to be inordinately concerned about China’s polar activities and instead give them the same amount of scrutiny as those of other countries, that will actually allow a more level-headed analysis of what the world’s largest country is doing at the extreme latitudes in the Year of the Sheep.